Google maps requires an API key in order to show the map. If you see an error: Ooops! Something went wrong then you have to add a Google API key to your site that will allow you to use Google maps. This process may take a minute. You will see some notifications and a spinning bell icon. 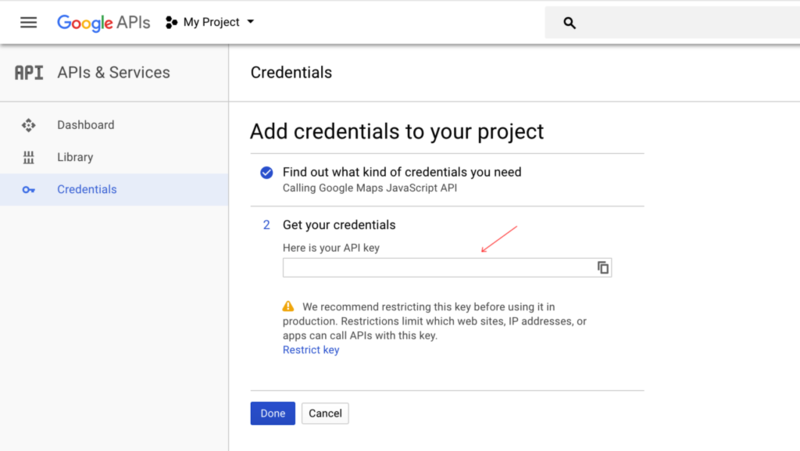 In the Google API Console, you can also look up an existing key or view a list of enabled APIs. Click Save Changes and you should be able to view Google Maps on your site.